Wirral computer plus technology repairs and sales are what we do best! We're a computer specialist centre offering a wide range of services. Specialising in repair and support, computer sales, on-site callouts, training and network installation. If you have a computer problem, we have the solution - for both home and business. 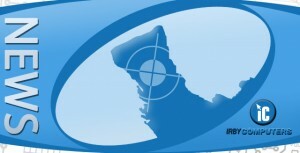 Why not press LIKE on our fan page today to receive special promotions and discounts on all our products and services. We offer repairs through our Wirral Callout and Wirral Computer Repairs services. We cover all places within the Wirral borough such as Barnston, Bebington, Bidston, Birkenhead, Brimstage, Bromborough, Caldy, Clatterbridge, Claughton, Eastham, Egremont, Frankby, Gayton, Grange, Greasby, Heswall, Hoylake, Irby (obviously! ), Landican, Larton, Leasowe, Liscard, Meols, Moreton, New Brighton, New Ferry, Newton, Noctorum, Oxton, Pensby, Port Sunlight, Poulton, Prenton, Raby Mere, Raby, Rock Ferry, Saughall Massie, Seacombe, Spital, Storeton, Thingwall, Thornton Hough, Thurstaston, Tranmere, Upton, Wallasey, Wallasey Village, West Kirby, Woodchurch and Woodside - Our business and design services are offered nationally -- occasionally even abroad! 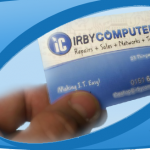 Our Wirral Computer Repairs services are available instantly in our store during office hours. Call 0151 648 3600 for more info.